Question 1 would assess new taxes on some Mainers to pay for an expansion of home care services for seniors and people with disabilities. A shortage of home care is a significant problem facing Maine. 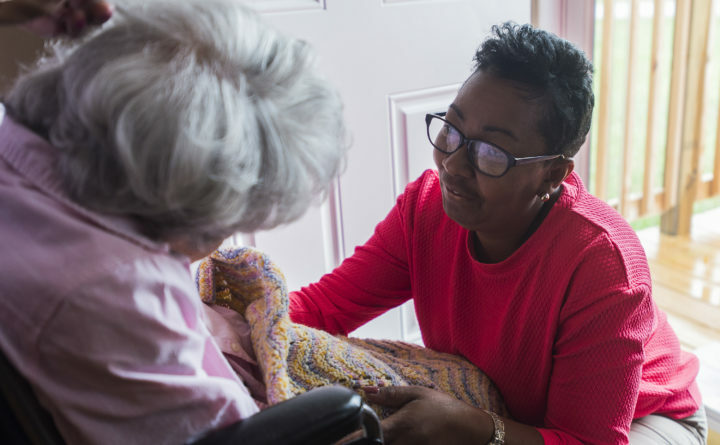 Currently, more than 21,000 Maine seniors and people with disabilities need home care services, which are not covered by Medicare, but can’t get them because the state has a shortage of providers. The shortage is likely to become more acute as the percentage of resident over age 65 continues to rise. Addressing this problem with new taxes, new bureaucracy and minimal oversight, however, is not the right solution. Question 1 would assess higher payroll taxes on many Maine families and businesses, as well as higher taxes on unearned income such as interest, stock dividends and rental income to raise an estimated $180 million to $310 million a year. With these changes, Maine’s top effective tax rate on income, for those affected by the higher taxes in the referendum, would be the highest in the country. We favor a fairer tax system, but being labeled the highest taxed state in the country is not in Maine’s best interest. In addition, creating a fairer tax system needs a full debate and shouldn’t be part of a referendum focused on home care. We understand that the legislative process, especially in recent years, is frustratingly slow and partisan. This has given rise to policymaking by referendum, which bypasses the priority-setting that is a top responsibility of lawmakers. With limited state resources, legislators must decide what programs and services to fund. Backers of referendums are now setting priorities for this state without needed debate, amendments and compromise. Question 1 says that funding home care is the top priority and deserves a dedicated revenue stream. This decision shouldn’t be made without weighing the importance of other priorities, such as early childhood education, student debt relief, opioid treatment, workforce attraction and training. Going through the legislative process may have avoided some of the problems with Question 1, such as the confusion over whether increased payroll taxes apply to individuals or couples with a combined income over $128,400. The state’s budget office says it interprets the referendum language to mean the new payroll tax applies to couples. This is also why it estimates the new taxes will add up to $310 million a year, far more than the referendum backers estimate of $180 million a year. How the money is spent will be determined by a new board, which will be elected by home care workers, care agencies and those who receive home care services. The board can expand existing programs and create new ones. There should also have been more thorough discussion of whether free home care should be available to any senior or disabled person in Maine who meets a physical needs assessment, regardless of their income. Backers of the referendum chose this route to keep the program like Social Security where everyone who pays in gets payments in their senior years. Limiting free home care to only those with low incomes may have allowed needed care to be more targeted to those with the greatest need. There is a shortage of home care workers, in part, because the pay for this work is often low. The referendum seeks to remedy this by directing 77 percent of the revenues raised by the new taxes to worker wages and training and patient care, although it does not set a higher minimum wage. Because Maine voters have passed numerous referendums in recent years — to legalize marijuana, expand Medicaid and assess higher taxes to fund schools — lawmakers have become much more comfortable reworking — or even ignoring — these referendums. Because Question 1 has several drafting problems, its proponents say they are open to revising the proposed law after it passes. First, lawmakers have shown that they don’t need such permission. Second, if it is revised, there is no telling what the final version looks like — it may just call for more study of the issue, which the Legislature is already doing. Question 1 is well intentioned, but this is not the right way to solve a real, pressing problem.